This high-quality hard shell camera case by tectake is perfect for a secure transport of video cameras, digital and analogue cameras, various measuring devices and accessories. The robust and high-quality case also offers ample space for larger camera equipment. No matter whether SLR, digital or video camera. 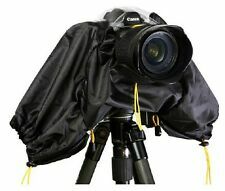 The camera case is also ideal to securely store the sensitive flash lamps. The 4 different foam inserts allow an even safer storage of the item of your choice. The camera case is perfectly secured with its 4 locks. In addition, the camera case is also water proof (up to 1 metre), alkaline and acid resistant and has a pressure equalizer valve for airplane travel. Get this hard shell protective camera case from tectake for your sensitive equipment.. 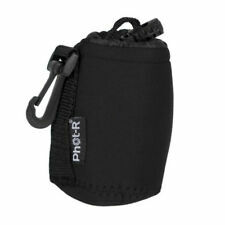 The neoprene pouch is waterproof and the colours can be reversed so that you can have it in black or grey. It is quick and easy to remove for shooting and is small enough to be carried until you want to use it again. 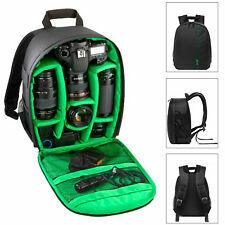 Super PRO DSLR SLR Camera Rucksack Case Bag Backpack For Canon EOS Digital etc. 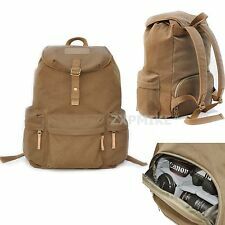 A very well made and versatile multi-use rucksack / case. Superb materials and a well proven, tough and VERY durable design. Canon EOS and Nikon. The Trendz philosophy is simple: High quality, sophisticated fashion at affordable prices. The Trendz range has been designed to help you show off your individual character and as fashion changes with the seasons you should keep your device up to date. Light Weight Design UK Warehouse 17",Waterproof ! A wide range of cases, bags and covers for Nikon cameras are available constructed of a durable, lightweight material which is sometimes waterproof. The internal material features Ripstop technology that is soft and flexible. Small pouches and cases are for small, compact Nikon cameras . 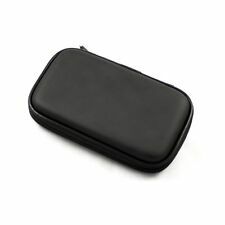 Alongside the main compartment are small pockets for storing replacement batteries, memory cards and other small accessories. They are lightweight, usually with a wrist strap that is detachable. Some may have a belt loop. Larger cases feature additional pockets, sometimes internal dividers or pockets that expand and may have shoulder straps that are lightweight. Pouches or neoprene protective wraps are available in different sizes, often with draw cord or zip closures, which can hold additional accessories. A fixed capacity waist belt bag has internal dividers that are padded, often with mesh pockets on the outside of the bag and a lid that has a zip closure. The modular waist bag features moveable dividers to create customised pocket sizes. On some designs, the buckle fastening waist band can also convert into a shoulder strap. Camera waist belts have additional padding with loops for any accessories and can be removed if necessary. A waist belt bag can often be easier to carry than a shoulder bag option. A shoulder bag features pockets of different sizes, sometimes with additional padding. The internal pockets can be customised using non-abrasive dividers that are attached via Velcro. 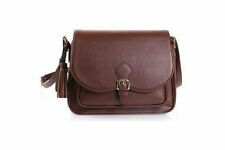 The shoulder strap is strong and usually has a padded area for sitting comfortably on your shoulder. The zips to the bag and external pockets are durable and are covered by rain flaps. 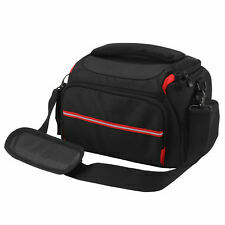 Most camera shoulder bags will also have a handle on the top of the bag. 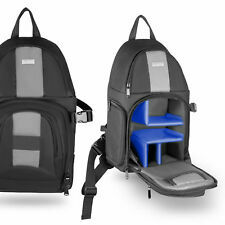 Camera backpacks offer more internal space than a shoulder bag. The harness has shoulder pads for comfort, a waist belt and chest strap are hard-wearing and sometimes a pull-out or detachable rain cover. 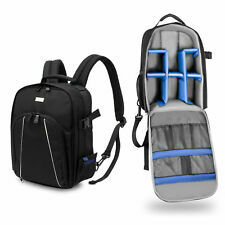 Large capacity camera bags have pull-up handles at the top for ease of use and rollers on the base. Some can convert to shoulder bags and have a carry handle on the top for easy transporting. Hard cases are highly durable and rigid with a number of pockets that can be adjusted to size or closed cell foam sections than can be shaped for cameras and lenses. They have a pull up handle to make transporting the case easy and a carry handle on the top and on the sides. Most hard cases have an 'O-ring' on the lid's inside which makes it watertight and protects the contents from dust and dirt.